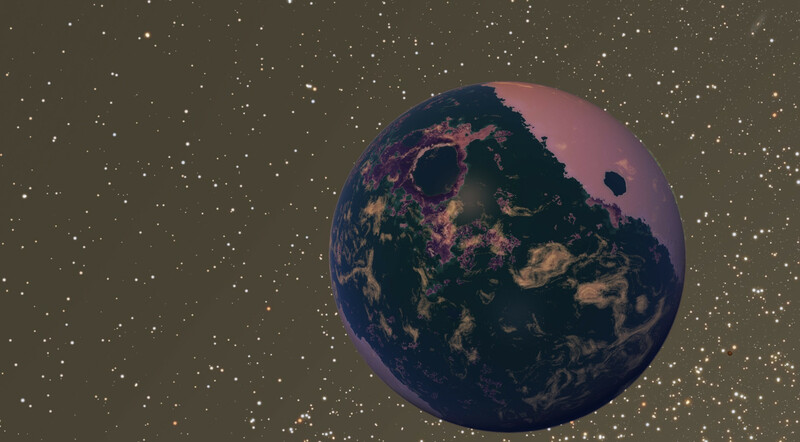 Extremely unusual "Cold Terra With Life"
Does -80 C sound like a nice temperature to you? No? That is what I thought. 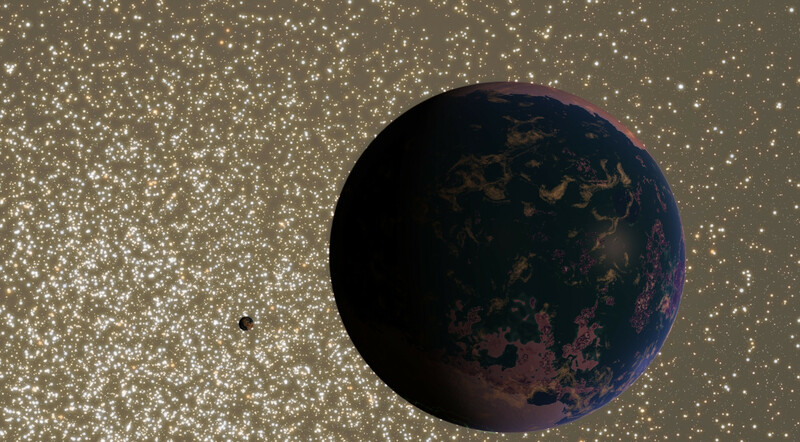 I found a star system in 0.9.7, RSC-5307-0-2-21-334. As the name suggests, it is in an extremely dense region of space 5 PC from the core of an elliptical satellite of Andromeda. It is a binary system with 3 life-bearing worlds, two of which orbit the same gas giant. The Gas Giant has a temperature of 160 Kelvins and an orbit of negligible eccentricity. It has several moons between Mars-sized and slightly over Earth-sized. The Second and Third moon have life. The second hovers between 192 and 194 Kelvins, is basically Earth-sized with an atmospheric Pressure 0.8 Times Earth's, an atmospheric density greater than that of Venus The engine just displays it at 0.3 g/cm^3 instead of 0.3 mg/cm^3, and a Gravity of 1.6 G.
It consistently registers as a "Cold Terra With Life" year-round. Purple vegetation or maybe the red is vegetation? 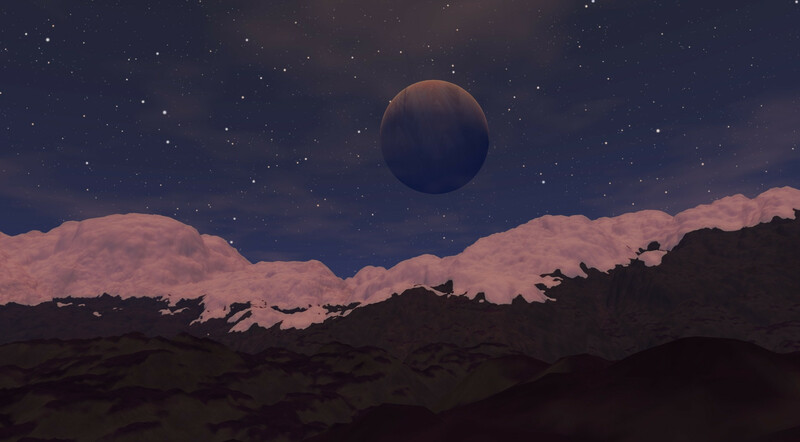 The following is on Mag Limit 7.00. with realistic star and planet brightness turned on. 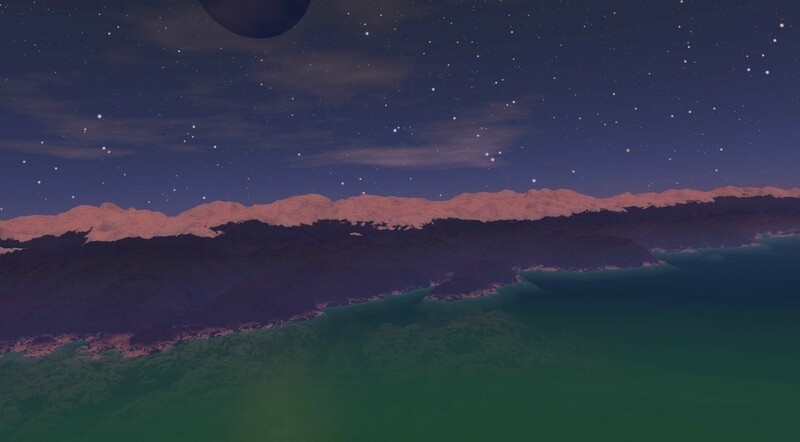 It is worth noting that those aren't 8000-meter mountains, they are the 8000-meter rim of an Australia-sized crater (seen in the first image). Also, that crater is deeper than the Mariana Trench. But seriously, even a metal object in direct sunlight in a glass container with no air on that planet should only get to around -35 C at the warmest. How the flip does anything stay alive there? Is it permanently Frozen or just eccentric and sometimes enters the habitable zone? Try again, I accidentally had a "-" instead of a space. Giant fuzzy slow turtle monsters live there. this yellow dwarf And White Star? Actually they are the same for everyone, unless you've done certain modifications to the program or unless there is some bug which changes something.